Filtering raw genomic datasets is essential to avoid chimeric assemblies and to increase the validity of sequence-based biological inference. BlobToolKit extends the BlobTools1/Blobology2 approach to simplify interactive and reproducible filtering. 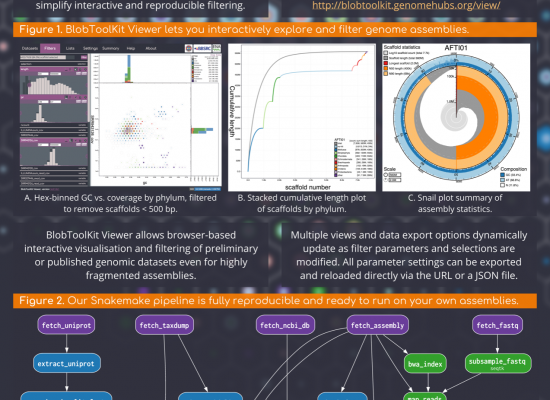 BlobToolKit Viewer allows browser-based interactive visualisation and filtering of preliminary or published genomic datasets even for highly fragmented assemblies. Multiple views and data export options dynamically update as filter parameters and selections are modified (Figure 1). 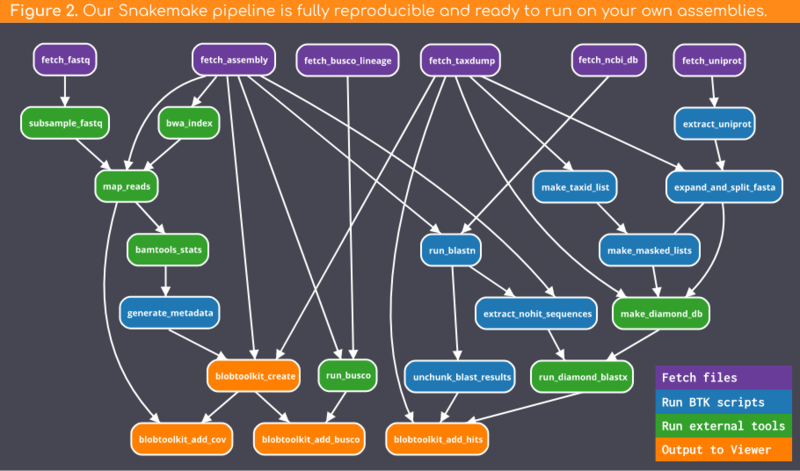 We are running the BlobToolKit pipeline (Figure 2) on all public (INSDC registered) eukaryote genome assemblies and making the results available here. We will be presenting a poster describing BlobToolKit at Genome Science 2018 For more details, either browse this site or take a look at the project code on GitHub. BlobToolKit is funded by the BBSRC Bioinformatics and Biological Resources fund.